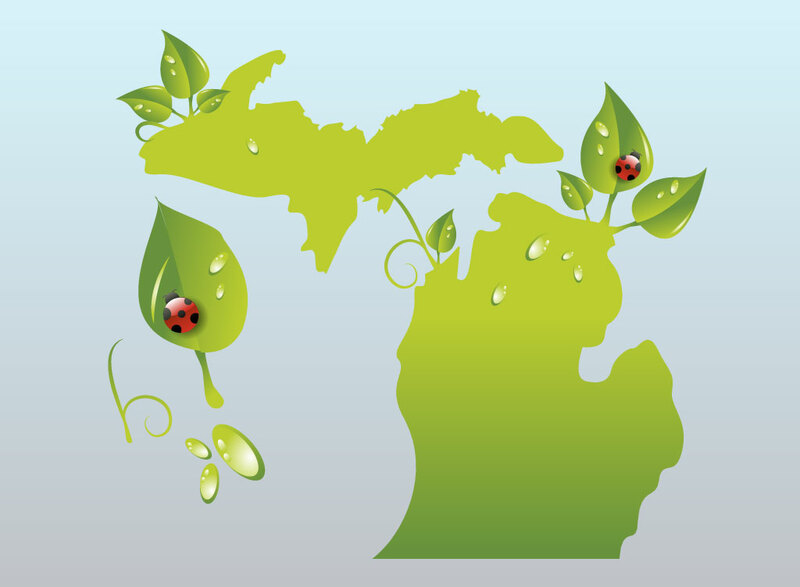 Stylized vector map of the state of Michigan in green gradients with cartoon like leaves, ladybugs and water or dewdrops. Nature inspired design that could work well for an environmentally focused non-profit group. Free download for your geography themes and ecology graphics projects. Tags: Detroit, Island, Ladybug, Leaves, State, Tourism, Travel, United States, Usa.